On this page we outline some of the core principles of Speaking of Research. Animal research plays vital role in the development of modern medical and veterinary treatments. Much of our understanding about the biological processes in the body, and the diseases that affect them, comes from studies in animals. Speaking of Research fully support the 3Rs, the Replacement, Refinement and Reduction of animals in research, and believe that animal research should only be conducted where no non-animal method is viable – these principles are embedded in the laws and regulations governing animal research in North America, Europe and many other countries worldwide. 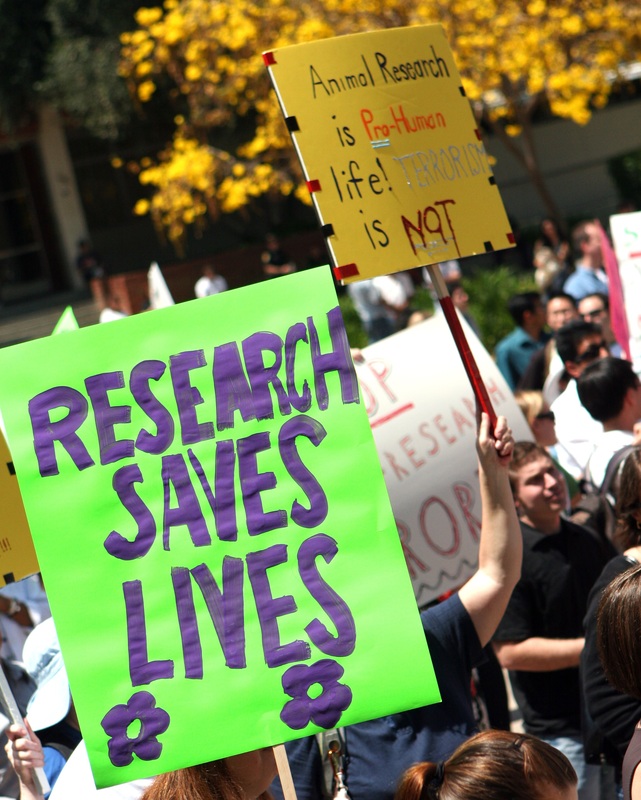 Much more information about the importance of animal research can be found across our website. Unfortunately, as in all human endeavors, there are isolated individuals who fail to adhere to established principles; in animal research, there is no excuse for such behavior. Where infringements are identified, they should be investigated thoroughly and appropriate disciplinary measures taken. Those that through intention or negligence show disregard for the regulations and the welfare of animals should not be involved in animal research.